Meet Tyler, one of the little girls that I coach ice hockey. She has recently been diagnosed with bone marrow cancer. 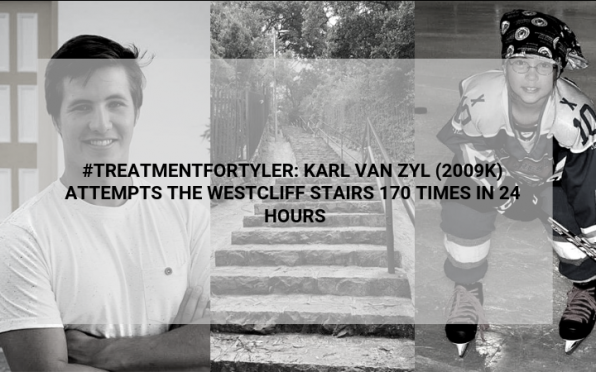 On Friday the 15th March at 18:00 I will attempt 170 assents within 24 hours of the Westcliff Stairs in Johannesburg, in the hope that I can try and raise some funds towards her treatment, as well as awareness about this disease. Please come join me for a few assents if you are in the area. Page generated in 0.3346 seconds.